Bernard Controls Ltd was registered as a UK legal entity at the beginning of 2018. This creates an opportunity for the company to have a greater UK presence, employ local personnel and enjoy the benefits that BVAA membership brings. The UK facility will focus on developing relationships directly with Valve OEMs and Traders specifically relating to Project opportunities. We will continue to build and develop strong relationship with Zoedale as our long standing partner in the UK. 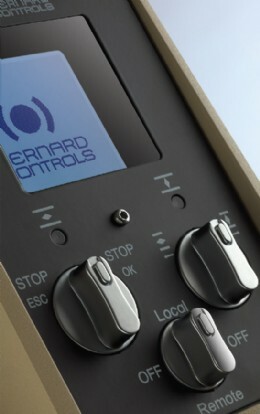 They will be supported by the UK organisation and continue to represent all BERNARD Controls products exactly as before. Bernard Controls designs and manufactures electric actuators and control systems for industrial valves� automation. More than mere products, BC offers innovative solutions that assess each type of movement, environment, operation and control requirements, in order to perfectly meet customers� needs. Two product labels guide your selection: FIRST BC, �the Essentials�, for standard applications, in case of moderate environmental and operational constraints. And BC PREMIUM, �the Complete Solution�, in case of severe environment, demanding operational constraints and critical applications. Certified and recognized quality: Bernard Controls� products & organization have been certified according to main international standards (ISO 9001, ABS, ATEX, EAC CUSTOMS UNION, GERMANISCHER LLOYDS, IEEE, INMETRO, NEMA, RCC-E�) and approved by the largest prime contractors & industrial players worldwide (ADNOC, ALSTOM POWER, AREVA, BLUE CIRCLE, ENEL, EDF, ESKOM, GASPROM, GAZ DE FRANCE, KNPC, KOC, LAFARGE, NIOC, PETROBRAS, QATAR PETROLEUM, SAUDI ARAMCO, SHELL, SOFRESID, TRACTEBEL, TECHNIP, TOTAL, VEOLIA...). Global partner, always by your side: Bernard Controls is present all over the world and coordinates its activities within 4 Operating Areas which gathers 16 Operating Units in Americas, Asia, Europe and India / Middle-East / Africa. Our 3 Manufacturing Units are located in China, France and in the United States. The Group also relies on more than 50 agents and distributors throughout the world. Strong Customer Support: From the design stage to installation, commissioning, maintenance and training, Bernard Controls teams are truly dedicated to your satisfaction and commits to delivering strong customer support everywhere around the globe. BC vision is that innovation arises from the ability to adapt. Ability to adapt to markets� needs, to new regulations and to customers� technological and financial requirements. But also ability of teams to adapt to new challenges, new market demands and new working environments in order to work everyday to provide Service Excellence to clients and partners.